There’s been a new craze sweeping the weight loss world of late. It has all the makings of a huge hit. It has been seen on the shelves at Starbucks and it’s all over the internet. 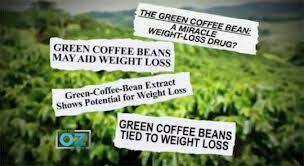 Drum roll please… The latest in the train of weight loss miracle pills is green coffee bean exctract. It has a nice ring to it. The word green is always popular with its associations with all things pure and natural. It comes from coffee – a known antioxidant and drug of choice for most of us. So green coffee been extract has all the makings of a winner. It was even featured on The Dr. Oz Show who did his own informal study of the substance (for prior examples of the veracity of Dr. Oz’s claims, check out my post Breakthrough Fat Burning Method). So how is this all natural wonder extract purported to work? When coffee beans are harvested they are initially green. When the beans are roasted they go from green to brown and release that captivating aroma. Roasting results in an increase in antioxidants but a decrease in a substance called chlorogenic acid. This chemical is thought to block fat accumulation, boost weight loss, curb carb absorption, and help regulate post-meal blood sugar levels. To create green coffee bean extract, the seeds are left unroasted. Instead they’re soaked and then concentrated to create the extract. So what’s the evidence that it works? Here’s where it gets interesting. The craze was set off by an article published in 2012 in a journal called Diabetes, Metabolic Syndrome, and Obesit: Targets and Therapy. This study took 16 subjects and gave them green coffee extract (either 1050mg or 700mg) or a placebe and measured their weight loss over a 22 week period. The results were really promising. The higher dose coffee extract group lost over 16 pounds with significant decreases in body fat and BMI. Naturally, this generated excitement. So before we go into what ultimately happened with this study I want to emphasize an essential point when addressing scientific studies in general. If you remember from your grade school days, a crucial step in the scientific process is replication. One study rarely proves anything. This is for many reasons. Those scientists may be corrupt. They may have made a crucial error that affected all their results. There may have been some unknown bias that tarnished the results. The process of peer-review helps to prevent this and the more well known journals are better than others at vetting the results. But even peer reviewed publications can make mistakes. Try to avoid nihilism. Don’t just assume all scientific studies are suspect. The overwhelming majority are not. What this means is that any conclusions made from a single research study should always be taken with a grain of salt. Once the results are replicated by different researchers you can be more certain of the results. So back to green coffee extract. This “seminal” study in 2012 launched the fad and is the foundation for many of the advertising claims. It is a powerful tool on a commercial or website advertisement to say that something is “scientifically proven” to cause weight loss. But when you look on the science that supposedly proves this you should notice a few red flags. First, the journal this was published in is an obscure one. Any scientist that has breakthrough results will want to publish it in the most prestigious journals. The journal Diabetes, Metabolic Syndrome, and Obesit: Targets and Therapy is far from main strem. Second, they only studied 16 subjects. The fewer the subjects the less robust the results. And finally (and most importantly), this was a single study that had yet to be replicated. Here’s how I think this went down. 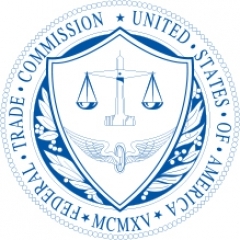 Somebody was looking for a piece of the multi-billion dollar weight loss supplement market. They found their all natural extract and then fabricated the results of a “scientific” study. They then manipulated the system to get the study published. Once published, the marketing machine took over. So there you go. Another weight loss wonder drug debunked. Another blow to whatever is left of Dr. Oz’s credibility. The moral: Beware of the claims of the supplement industry when it comes to weight loss. 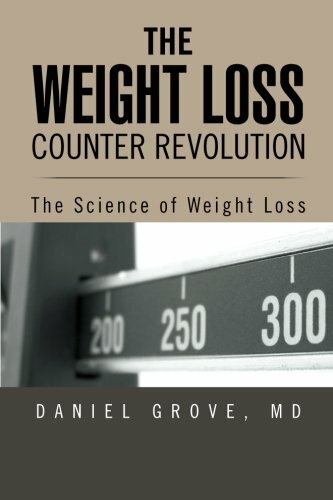 IF there was truly an effective drug for weigh tloss, the pharmaceutical industry would be making billions off it by now. If you want the facts, the pages of this site give them to you. No fads, no gimmicks, just the truth.